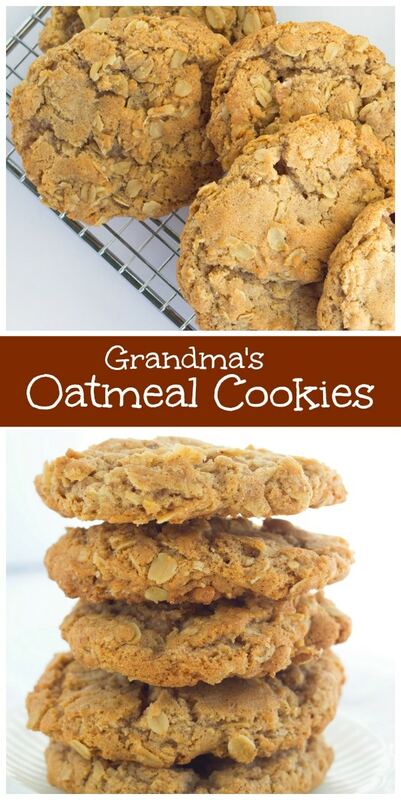 If you’re looking for the best oatmeal cookie recipe, then you must try my Grandma’s Oatmeal Cookies! I can’t take credit for this one. It’s all grandma with these cookies! 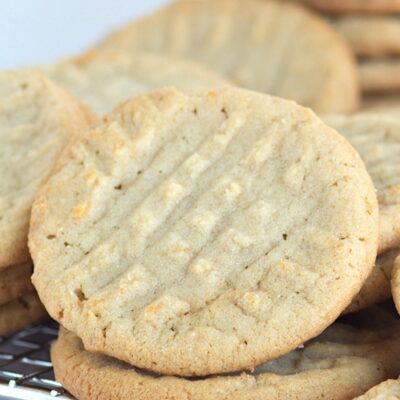 This recipe comes from my grandmother, who was the ultimate cookie baker. 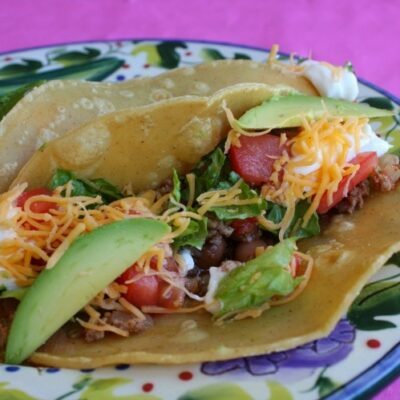 I’m so lucky to have her recipe, and you’re so lucky I’m sharing it with you! Grandma’s Oatmeal Cookies are made with shortening. You cannot substitute butter for the shortening. Butter also has a lower melting point, which means that the fat melts at a lower temperature and the cookies will spread and flatten out faster during baking. If you try to use butter, I fear that these cookies will turn into awful, flat disks instead of cookies. My solution is to use butter shortening instead of plain shortening. Baking cookies with shortening will make them more tender than crispy. 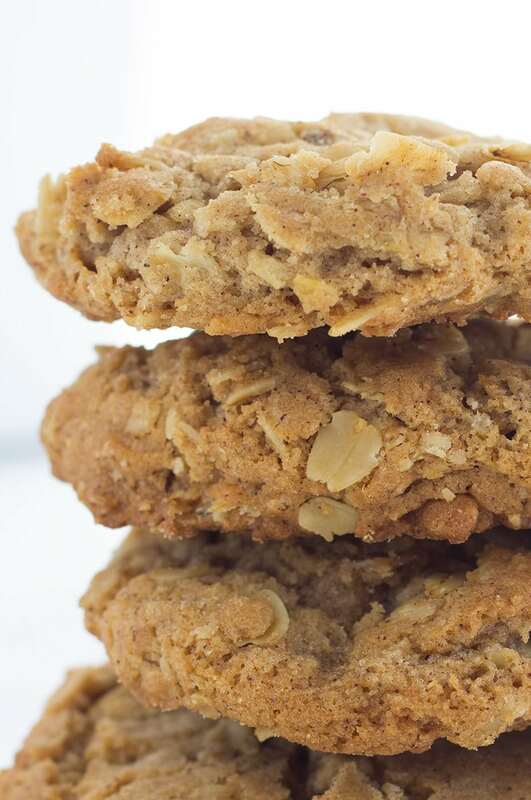 Grandma’s Oatmeal Cookies have plenty of cinnamon in them- one whole tablespoon! I love a good cinnamon-infused oatmeal cookie. Raisins and nuts are optional. Grandma used to add them in, but I prefer them without. 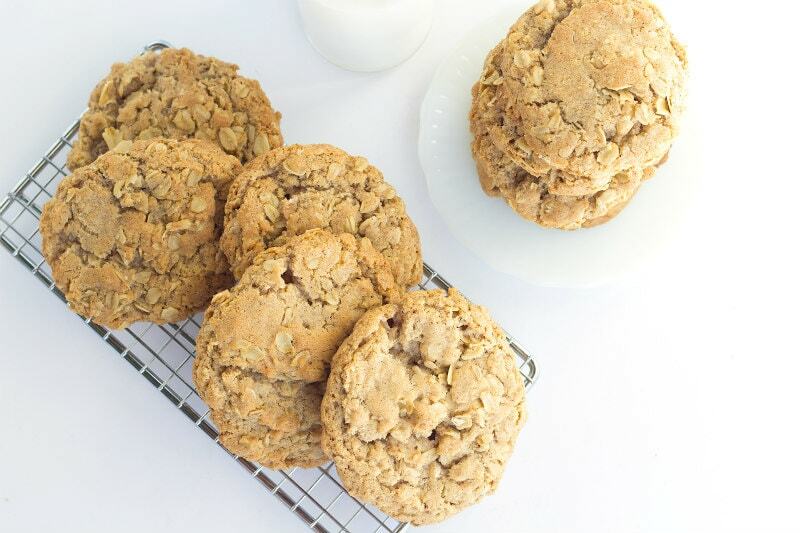 In oatmeal cookies, old-fashioned oats will give you a chewier texture, and quick oats will taste more like you ground up the oats a bit (slightly less chew, but still the same flavor). It’s really personal preference which one you like better for baking. 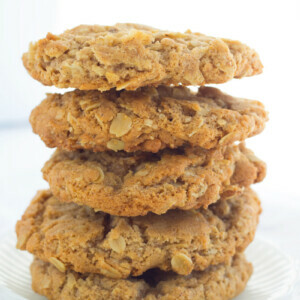 I suggest you use the old-fashioned oats for Grandma’s Oatmeal Cookies! 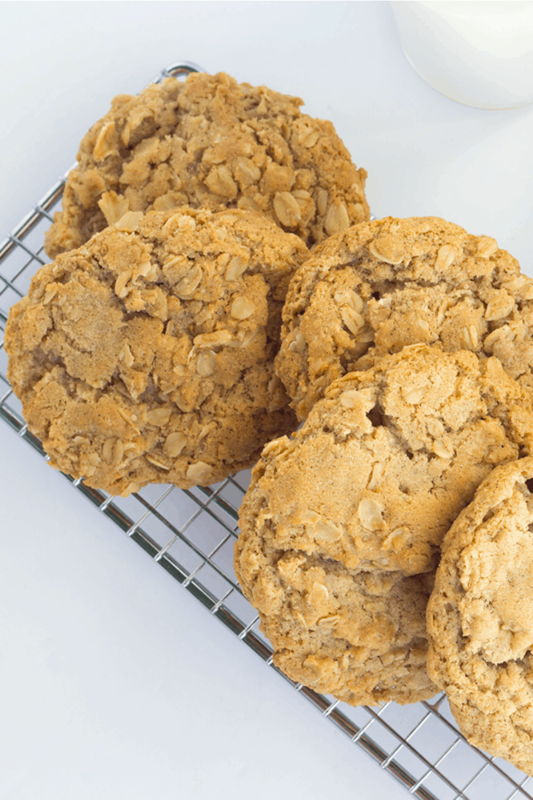 These are both a chewy and crunchy oatmeal cookie recipe. I think you’ll find that everyone will rave about them. Do you have to add baking soda to cookies? Baking soda acts as a chemical leavener in these cookies, causing them to rise and spread slightly. It also influences the texture. If you forget to add baking soda to the cookies, they’ll likely be flat and somewhat hard. A special cookie recipe from Grandma! 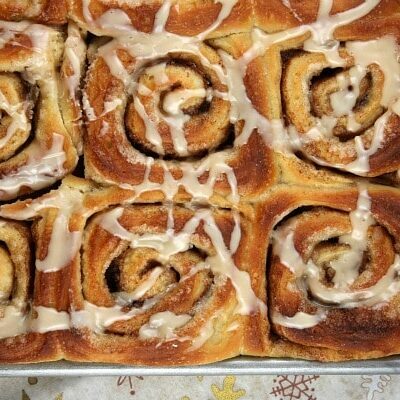 Preheat the oven to 350 degrees F. Line cookie sheet with parchment paper, or spray with nonstick spray. 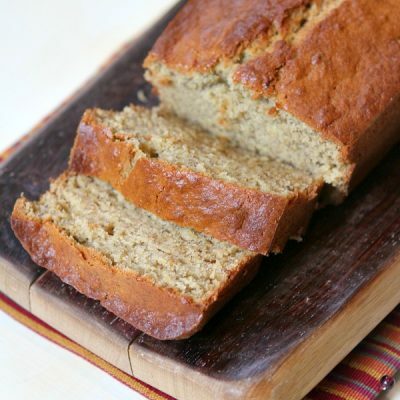 In a large bowl, use an electric mixer to cream together the shortening and sugars. Add the eggs and vanilla and beat well. Set aside. Sift together the flour, salt, baking soda and cinnamon. Add the dry ingredients to the wet and mix well. Add the nuts and/or raisins, if desired. Stir in the oats last. Spoon out by rounded teaspoonfuls onto greased cookie sheets. Bake for 10 minutes. Remove to a wire rack and cool completely. 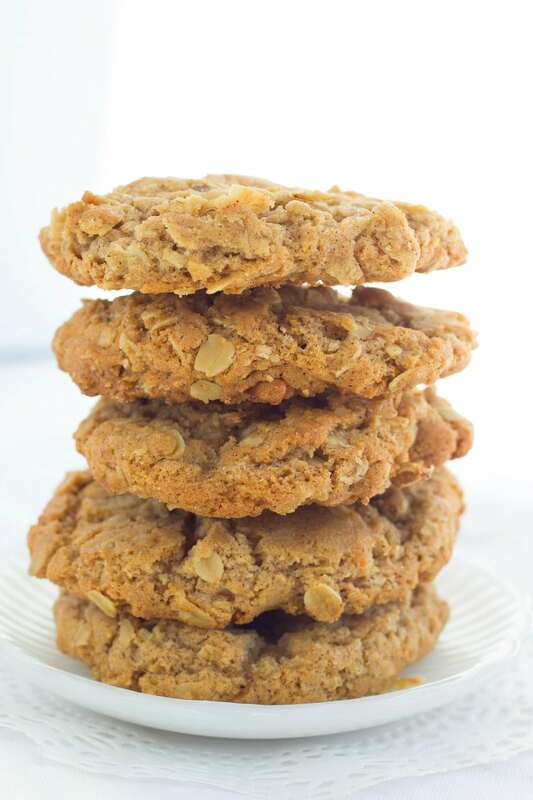 If you'd like to add raisins to your oatmeal cookies, use 1 cup of raisins and reduce nuts to 1/2 cup. Raisins and nuts are not included in the nutritional information.